Oh, the ebbs and flows of fashion. Denim skirts are back in fashion. And the midi denim skirt is the queen of the denim heap this season. So wearable and so cool. Although it’s well below the knee, there is nothing modest about this skirt. The exaggerated slit makes this skirt cool. This one here is an old one, but I’ve linked below to some current favorites. The great thing about a midi-length denim skirt is that you can dress it up for the office (and probably get away with wearing denim even on a day that is not casual Friday). 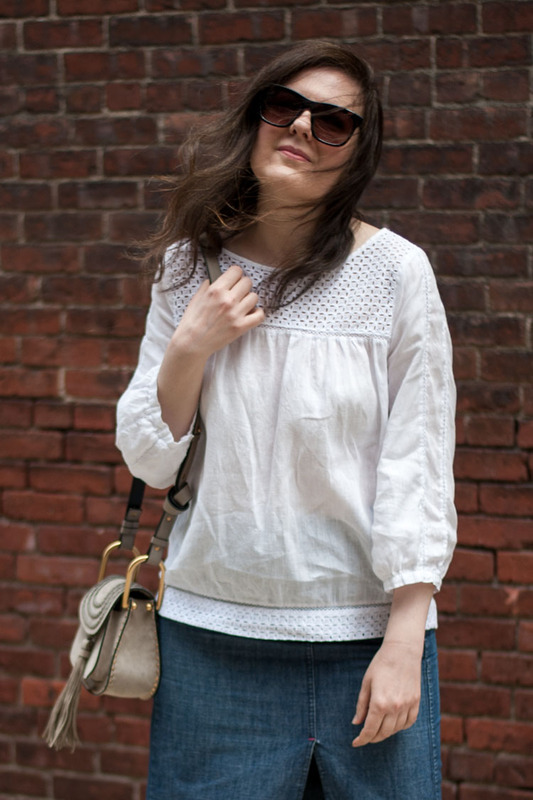 For transitional weather, wear it with an oversized sweater and for the summer, pair it with a slouchy t-shirt.